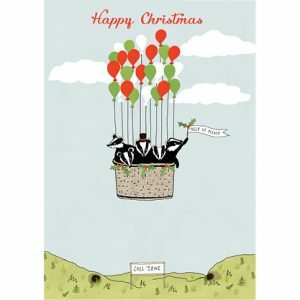 Our 2016 Christmas card design – badgers escaping the cull zone, is still available to buy. 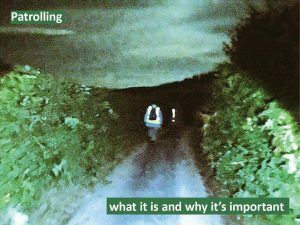 The image shows a group of badgers escaping the cull zone in a hot air balloon. One of the badgers waves a flag that reads “help us please”. The card measures 15 cm high and 10.5 cm wide and comes with a white envelope.